It’s no secret I have an afinity for Japanese culture. The left is inspired and essential a redrawn work of another Japanese artist I saw in a book and I attempted to redraw it and give it my own style. the right is an image of the Uchiha clan symbol from naruto. 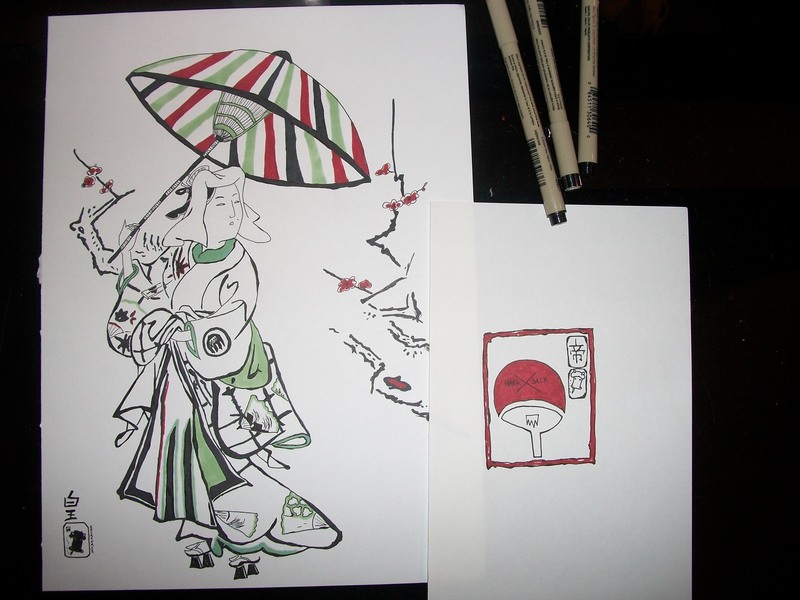 Both are used with Prismacolor markers and Micron Sakura pens.